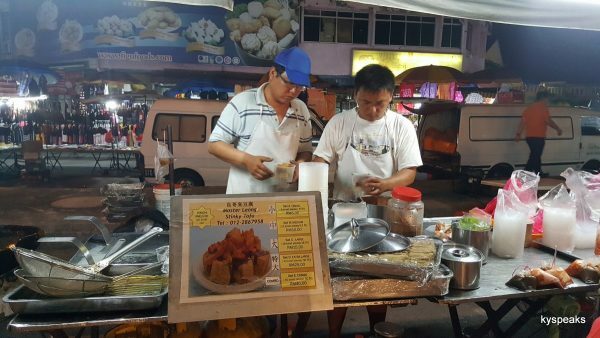 For the fan of stinky tofu, there are a couple of stalls offering this dish in one of the bigger pasar malam in Klang Valley – at SS2 every Monday evenings. 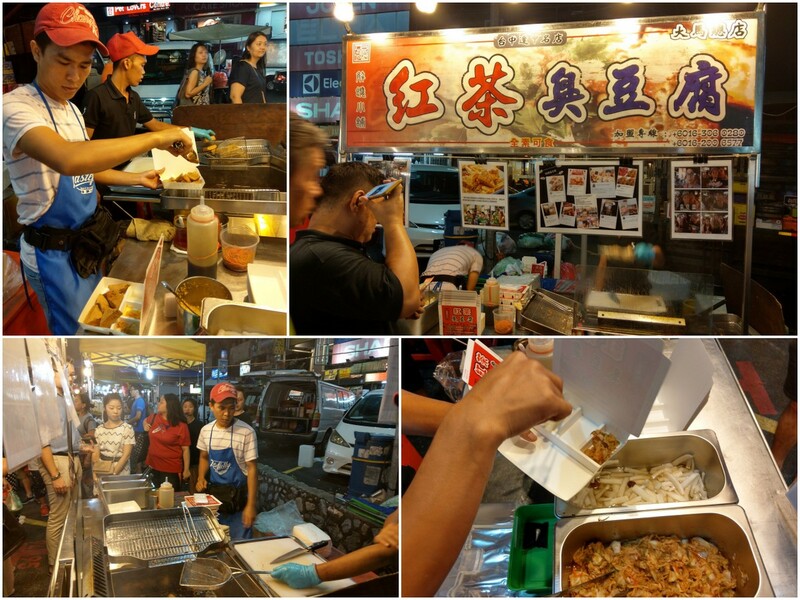 Let’s look at the stall by the name of Hong Cha, or “red tea” stinky tofu. Usually situated closer to SS2 McDonald’s, this stall offers a single type of stinky tofu for RM 10 that comes in a paper container. The triangle cut tofu comes with a side of pickled radish, sauerkraut, and some dipping sauce. The single portion came with about two full piece of tofu cut into 8, portion wise it really isn’t a lot, and you could also argue that the asking price of RM 10 is rather high for what is offered. As for taste, I thought it lacked the tell-tale pungent smell that should be a mandatory characteristic of any stinky tofu, perhaps trying to cater to local taste a bit too much. Additionally, the sauerkraut, or “almost kimchi” on the side was a bit weak too. comes in paper box, but not stinky enough tho! If you’re a huge fan of tofu or if this is the first time you’re introduced to stinky tofu, Hong Cha maybe a good point to start. 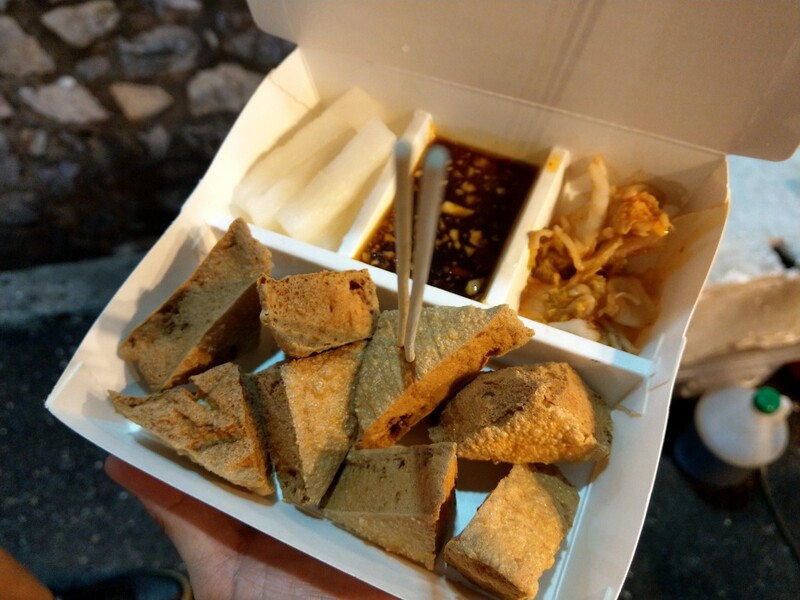 For the true stinky tofu fan though, you will probably be disappointed. In any case, most of these food shares a similar crucial step in their preparation – the magical process of fermentation. Through this method, bacteria releases certain type of byproducts that gives birth to the unique smell and taste which some of us learn to appreciate. For those who lives at Klang or Shah Alam, perhaps one of the closest place to sample a good dish of stinky tofu would be at the Thursday night pasar malam at Meru, located just across the road from Klang Parade. the stinkier the better, right? The stinky tofu truck is almost always with a queue so you do have to be slightly patient to wait before your portion of piping hot deep fried stinky tofu is served. The taste of the tofu is really pungent and mixes well with those sourish pickled cabbage. freshly fried, super stinky, yummy! So if you’re a fan of stinky tofu, this is one to check out, besides, this very same pasar malam also has a pretty decent spread of other hawker delights – including salted chicken, popiah, lok lok, and char kuih teow. A couple months ago we took a short driving trip to the winding roads that led us to Bentong, and while at Bentong, I thought why not check out the famous tofufa shop at “Bentong Tau Fu Sdn Bhd“? 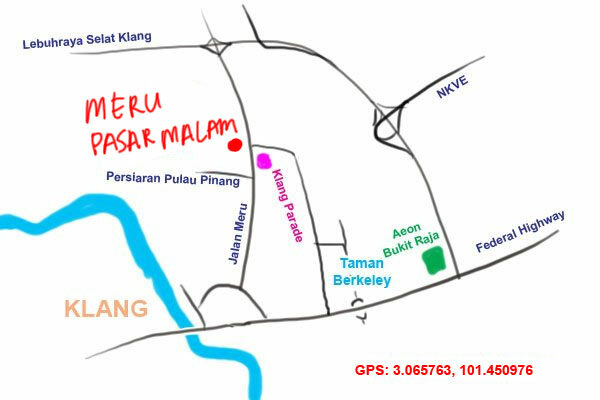 The shop is located within walking distance from the wet market where all the action is at. 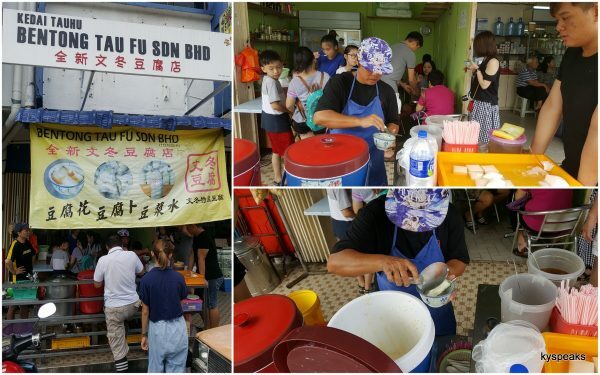 Like the name suggests, they offer homemade tofu for anyone who is handy in the kitchen, but additionally, they also server tofufa and soya bean drinks. 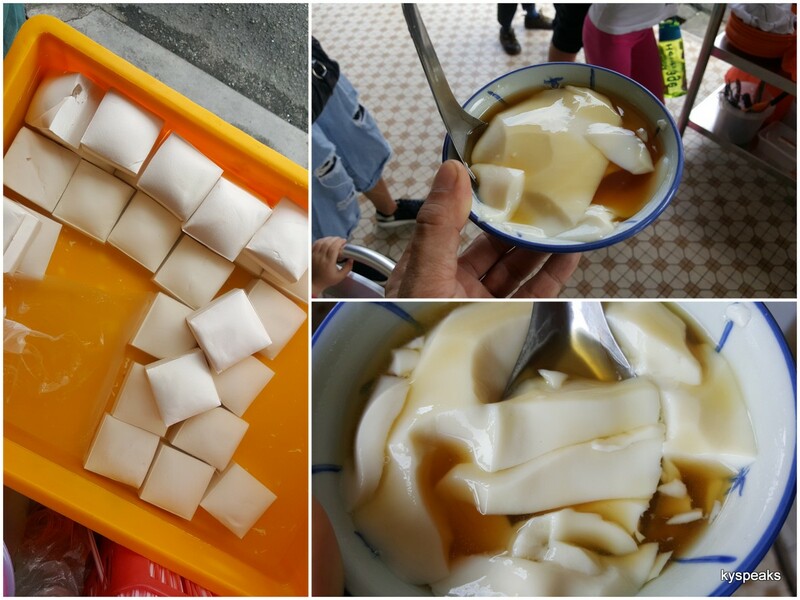 The tofufa, or tofu pudding, soya beancurd if you like, is what we were here for. While the smooth texture is really good, what stands out here is the unique ginger based syrup made from the famous Bentong ginger which really adds to the overall flavor. We also bought a couple squares of tofu home with the intent to make a steamed fish dish out of them, and obviously proceed to immediately have the purchase erased from our minds, resulting in zero review of the tofu & a slightly heavier trash bag weeks later. 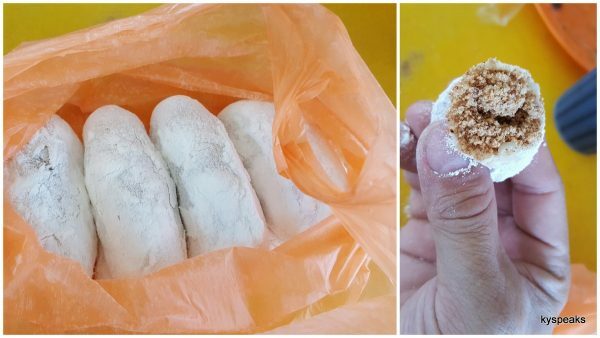 Oh, and if you’re dining the famous wantan mee at Yuen Kee restaurant and someone comes up offering you these peanut kuih, get them! They’re abslutely delicoius, and you’d end up having a lot of flour all around the mouth too. Good stuff. While you can get bak kut teh all around the clock in Klang, it is still mostly a breakfast option for most natives around here. 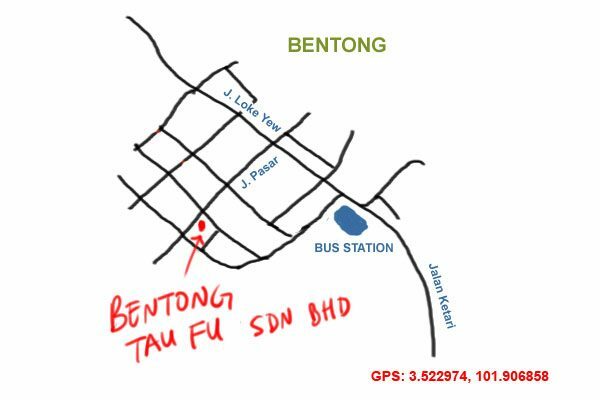 So prior to work a few weeks ago, I decided to head to one of the more popular old school bkt places to get my morning fix – at Seng Huat bak kut teh. 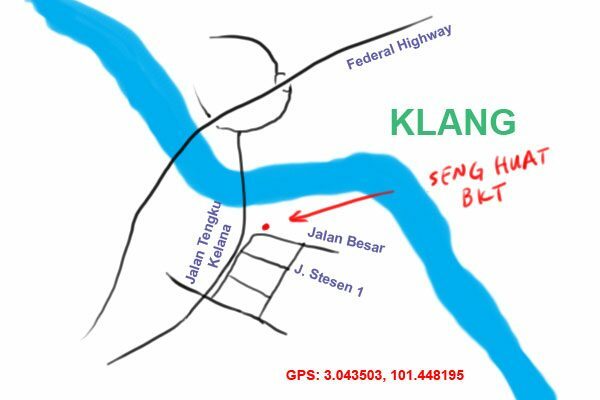 Seng Huat is located just right beside the main Klang bridge and stone’s throw away from the origin of bak kut teh at Teck Teh. The corner shop has plenty of seats right at the side by the river, which makes for quite a comfortable dining area compared to the slightly stuffier interior. 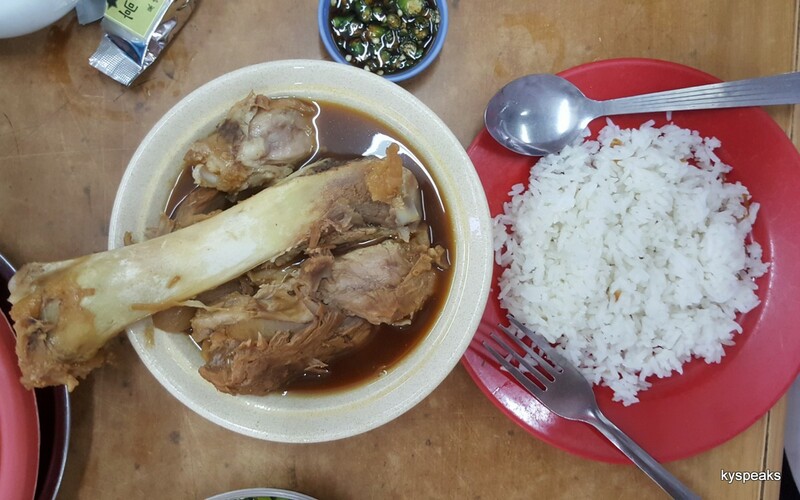 This is an old school type of bkt place, so there’s no such thing as claypot, vegetable, enoki mushroom, or any of those distractions. You order your favorite type of meat and you get it served in a bowl and a plate of rice. 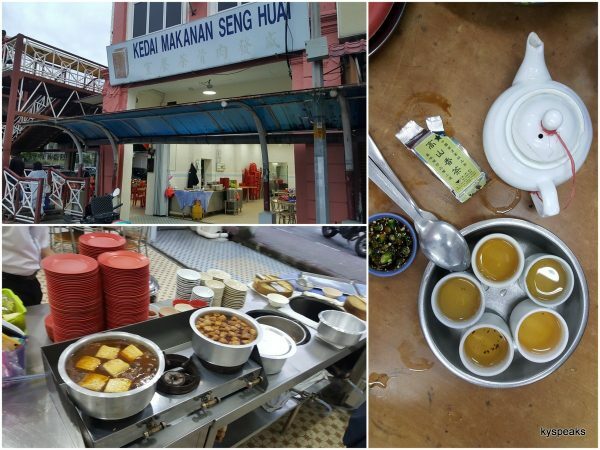 What they do have though, is chili padi & soya sauce, which Teck Teh doesn’t even serve. 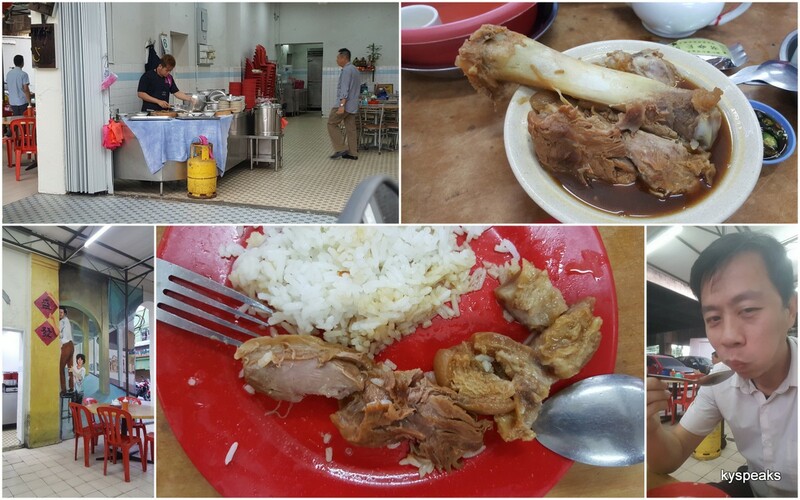 I asked for a tua kut (big bone), one of my favorite parts for breakfast. What came was quite a huge portion (especially for breakfast) of meat that was appreciatively soft enough to fall off its bone quite easily. The soup was quite thick & flavorful, though to be fair not the thickest I’ve had, Mo Sang Kor or Ah Her would probably satisfy you more if you want it thickest possible. Over all though, it was a pretty good breakfast, and one that I would not have a problem to revisit. 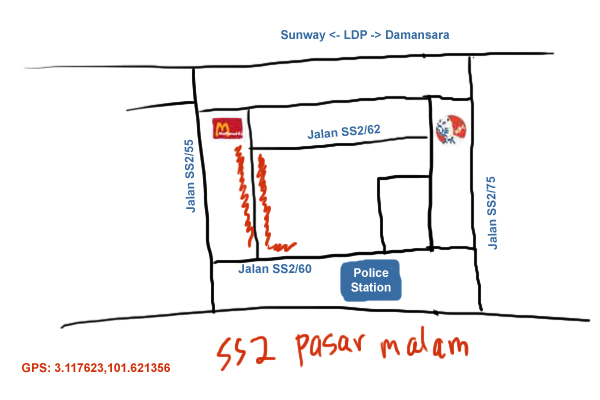 If you want it more “original” though, head to Teck Teh for some surprise. A few weeks ago we made a trip to Seri Kembangan and met up with some relatives for a Yong Tau Foo lunch for the simple reason of the wife’s aunt saying this was the place to go for yong tau foo, so we did. 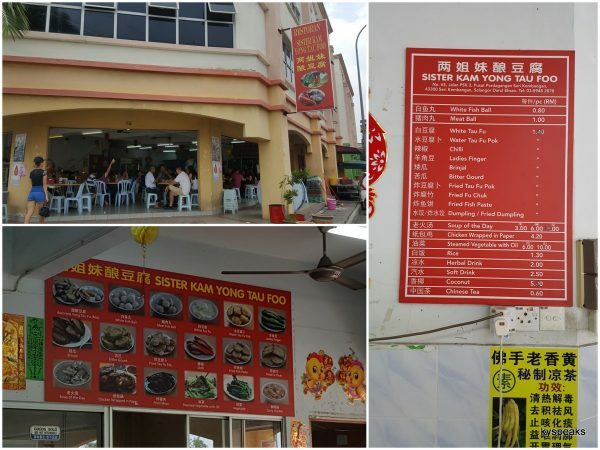 Our destination was Sister Kam (google map would say Sister Lam), a corner simple kopitiam set up with basic facilities, but also one that has a pretty busy kitchen with about half a dozen workers preparing yong tau foo on the spot. Parking was an easy enough affair, and we were lucky enough to get a table without having to wait. Ordering can be done via a piece of paper ala most dimsum style, you put a number next to the type of yong tau foo you want, and some 10 minutes later they’ll appear on your table. 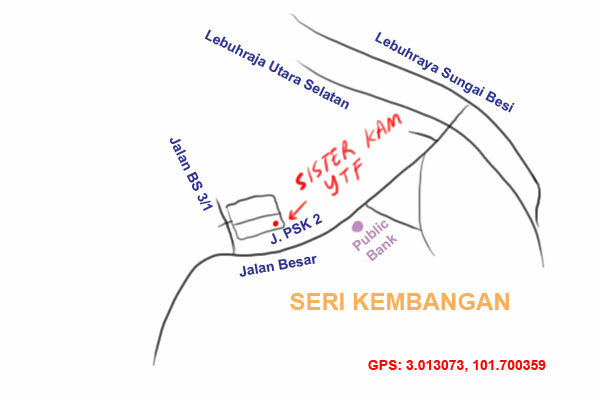 If you’re curious as to how they’ll look like, simply walk to the area near the kitchen and you’ll get to see many of the ready made ytf pieces on display just eagerly waiting to get into your stomach. 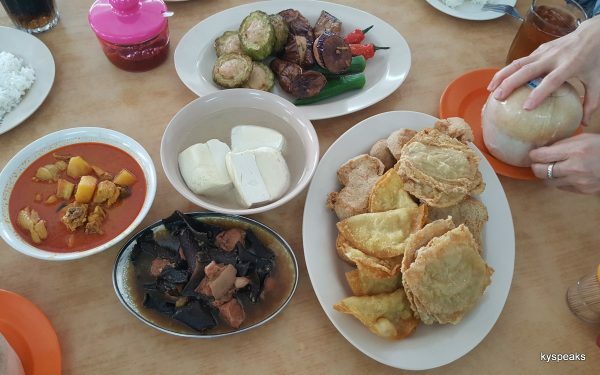 For the 6 of us, we ordered a mixture of fried and soup version of yong tau foo. Additionally we also had a serving of curry chicken and hakka fried pork. 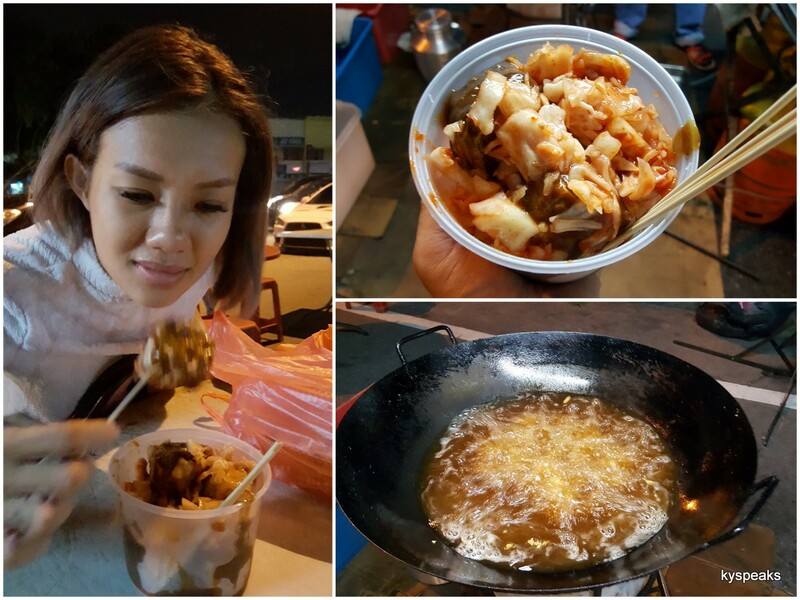 The yong tau foo were fresh and most importantly, with fish paste that are of pretty good quality. I enjoyed the hakka fried pork, but thought the curry chicken was a little light (though the potato was good). We paid about RM 15 per person for the experience, which was pretty reasonable considering the fact that we also had some coconuts to go with. If you’re around the area it would be a decent place to fill up your stomach, but I would maybe think twice if I had to make a 45 minutes drive.